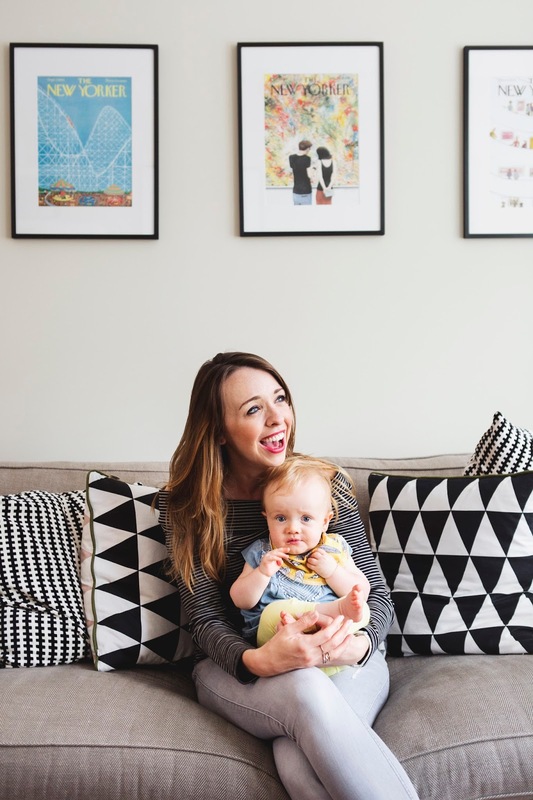 Expectation of Motherhood: I thought it would be all soft focus, lifestyle blog living. Esme would love wooden toys, would never cry, wouldn’t need a dummy, the television would never go on and we’d spend our days baking, snuggling and skipping through Chorlton Meadows whilst throwing our heads back in gleeful laughter with our glossy manes flowing in the breeze behind us. I also thought there would be lots of opportunities for enjoying a nice relaxed bottle of wine with friends as our children played happily and quietly at our feet. 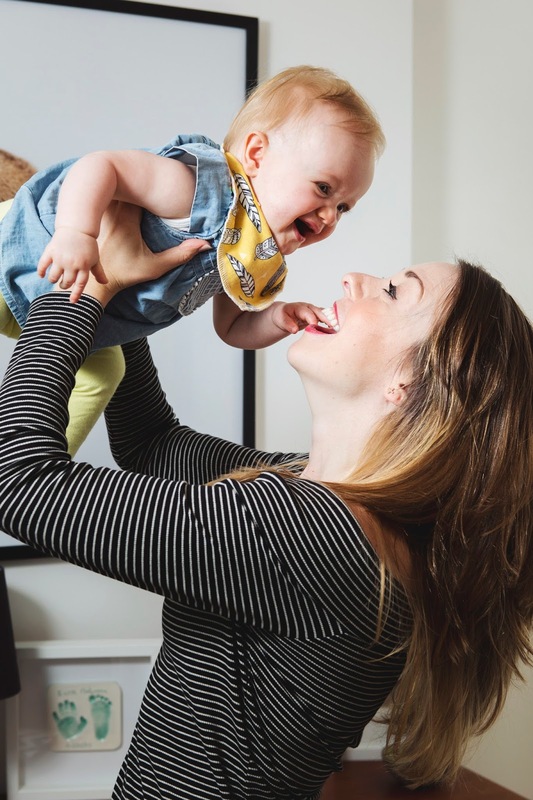 Reality of Motherhood: Well, the bit about enjoying wine is still true…possibly more so (and earlier in the day) than ever! Truly, this is the hardest thing I have ever done. I hadn’t quite understood how long, draining and (whisper it..) boring a day with a baby can be, nor had I ever really appreciated how consolidated sleep deprivation day after day, month after month can rip you apart and turn you into an emotional jibbering wreck. An emotional jibbering wreck who still has to keep a baby alive and entertained for another day. And also smile sweetly without crying when old people stop you in the post office and tell you to make the most of it because it will go so fast. Oh, the guilt! Taking your child home for the first time: When I think of the day we took Esme home from the hospital, it feels as if I’m watching a film. I know I must have been there, but it is such a surreal memory that you could easily convince me that I wasn’t! I do remember feeling joyous, battered and terrified in equal measure. I was incredibly lucky in that I had a water birth in the midwife led birth centre, however due to a shortage of beds on the ward I was ‘strongly encouraged’ to go home rather than have an overnight stay. So, having given birth at 1am and having slept for a sum total of 45 minutes all night, we found ourselves sitting back in our front room just over 12 hours later at 2pm, but this time with Esme in tow. We were absolutely shattered and absolutely overwhelmed (particularly as we have no family locally to call in as cavalry). On our way home we even had to stop at a sandwich shop to get some lunch as I was (understandably!) ravenous and we didn’t have any food in the house as we hadn’t realised I would be home so soon. I remember sitting in the back of the car with Esme who was fast asleep and oblivious in her car seat whilst Gav ran out to buy some food and I just wanted to shout at all the people enjoying their alfresco lunches that I had just had a baby godammit – how could they be going about their business when this great thing had happened?! 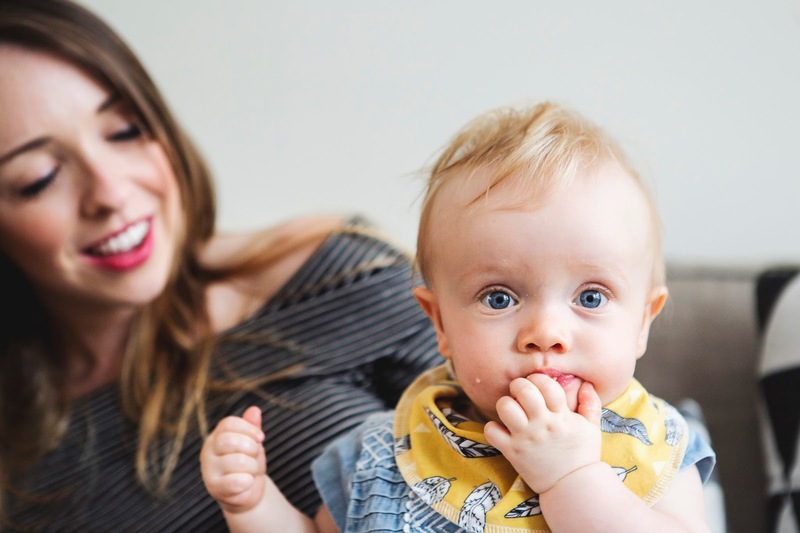 I also remember being concerned about breastfeeding – throughout my pregnancy I’d been reassured by the hospital and the midwives that a wealth of support would be made available to me once Esme was born to give us the best possible start with breast feeding, however there I was sitting at home with not a clue what I was doing and no one to turn to for help. I was clueless. Somehow though, between the 3 of us, we found our way! Gav was my absolute saviour – I would have been lost without him. The best advice: Everything comes in phases. 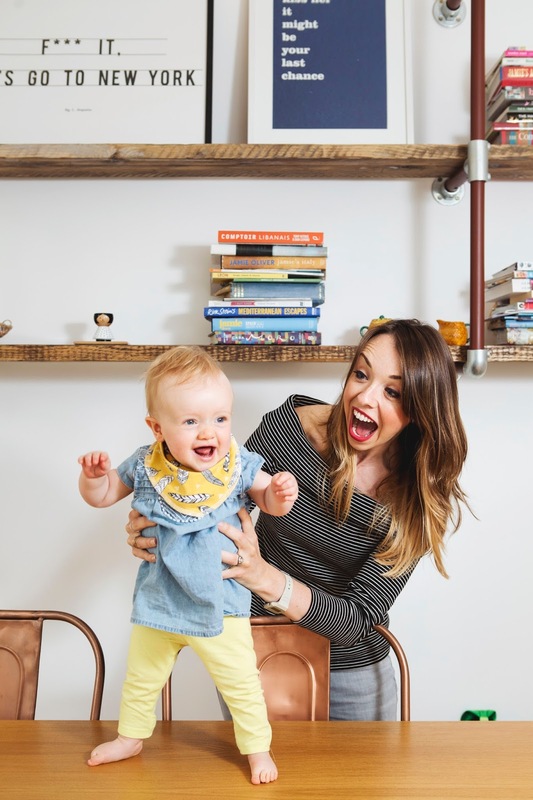 It’s hard to remember that when you are in the middle of the ‘why won’t she ever ever sleep?’ phase, or the ‘why can’t my baby make it through an entire baby class without crying?’ phase, but all the nightmare stuff does eventually come to an end. Sure, it will probably be replaced by another nightmare phase (hello teeth, I’m looking at you..) but you’ll be that bit more confident and robust that you will have a (slightly) better idea of how to handle the next challenge. Or you will have better honed your google search skills. 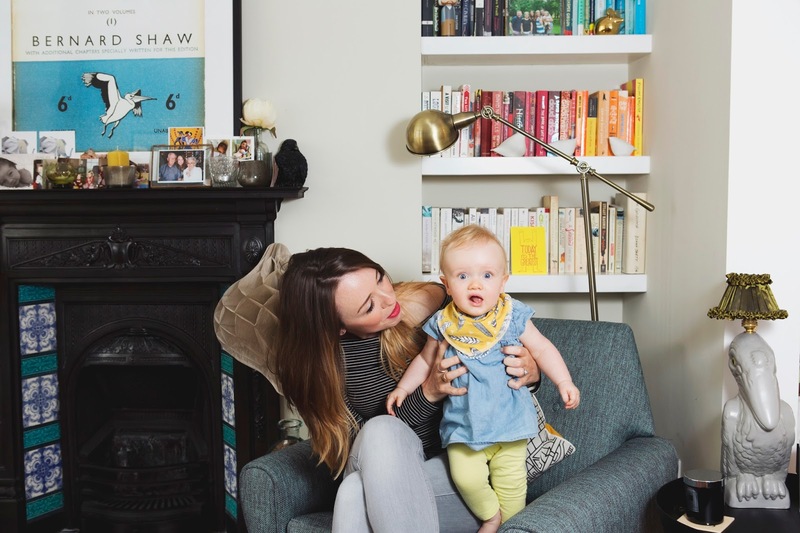 The worst advice: ‘You mustn’t spoil your baby’, amazingly from a consultant when she saw me pick Esme up for a cuddle when she was crying at a hospital appointment a few months after she was born! 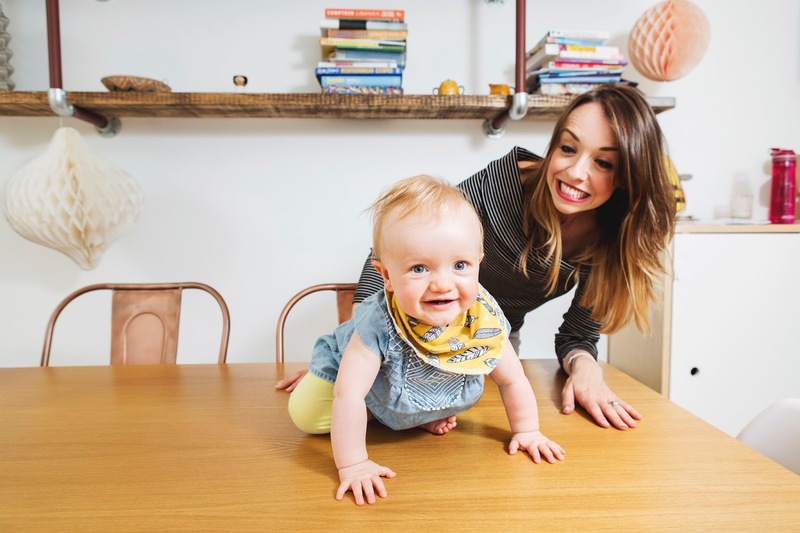 This throwaway comment caused me much worry in the early days as I battled the thought that Esme was unsettled because I had somehow created a demanding baby through my inexperienced and clumsy actions. Now I know that Esme was unsettled because she was suffering from silent reflux. Once she was diagnosed and taking medication she was so much happier and so full of fun. I’m so glad I followed my natural instinct to give Esme the attention I knew she needed, but I would be lying if I pretended I didn’t spend a lot of time wondering if my natural instinct was wrong on the back of that comment. 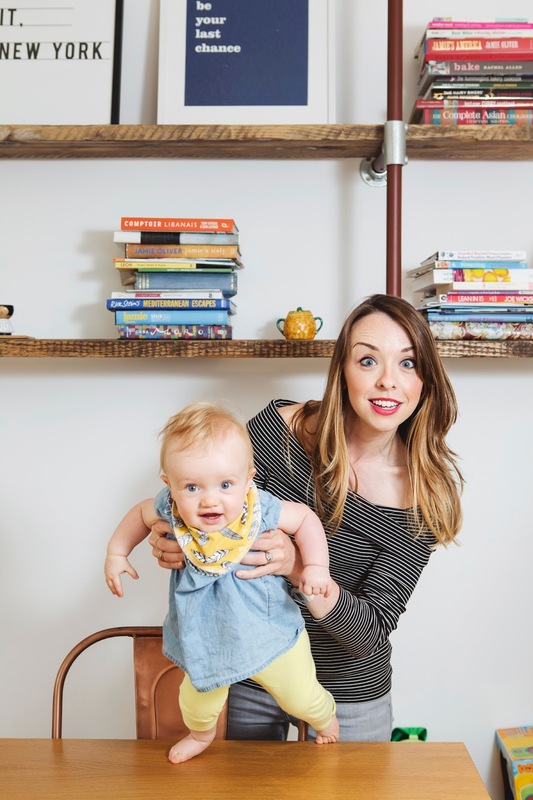 The hardest parts of being a mother: Being ‘on’ all the time – you never clock off and you are never off shift, no matter how drop dead tired you are and no matter how many other things there are vying for your attention. It is relentless! The best parts of being a mother: Too many to mention. The middle of the night cuddles, just the two of you. The gummy smiles and belly deep chuckles. The fat little arms and legs that flap up and down with excitement when she discovers something new or sees me after we’ve been apart. I could go on and on! It’s enthralling to watch this brand new person discover the world around her. I feel so proud of her! It takes literally every inch of willpower I have not to post 750 photographs of her on Facebook everyday. To me, she is a wonder. 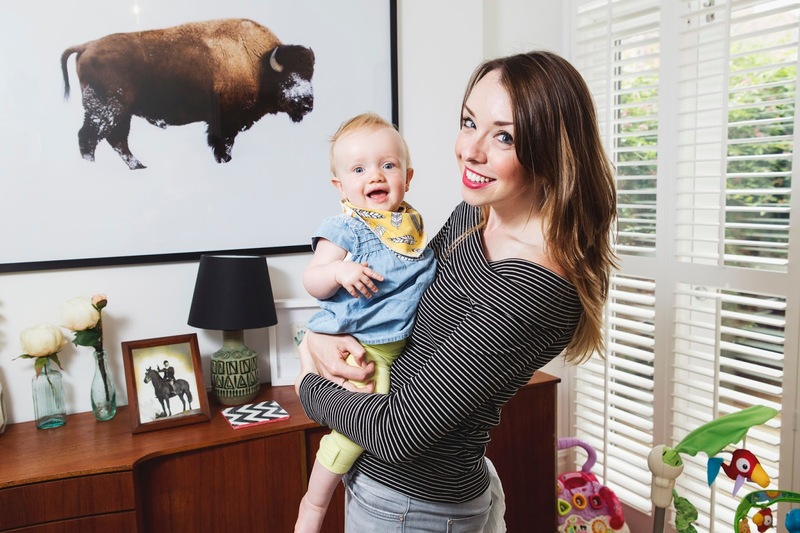 How being a mother has changed you: Apart from the obvious physical transformation(! ), and despite having more to do than ever before, it has made me slow down. 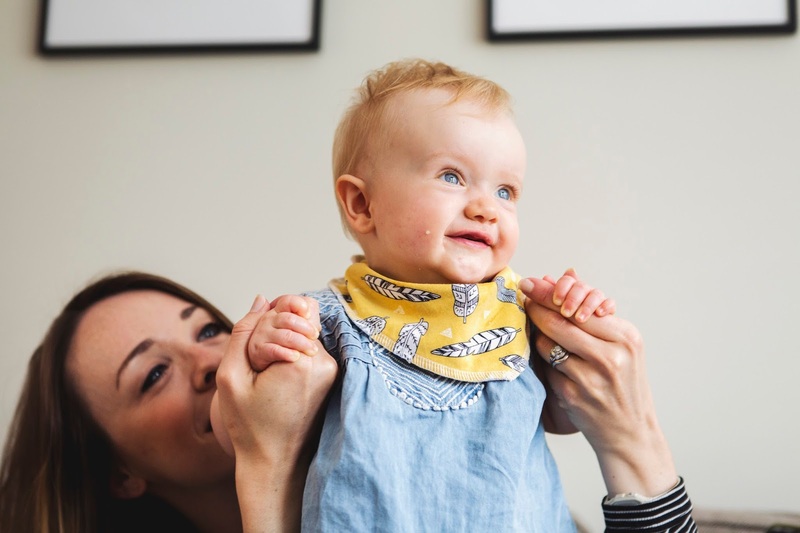 It is a cliché but as Esme now sets the pace of our day, I take my time and enjoy the moment much more than before – previously I was always racing around and always on to the next thing. Esme the dictator simply won’t allow that anymore! Hopes for your family: I just want Esme to be happy and fulfilled, and to know that we will always be here for her. But it would also be ace if she could please become an international popstar so she can reimburse Mummy and Daddy for the expense of all the 2am emergency Amazon purchases. 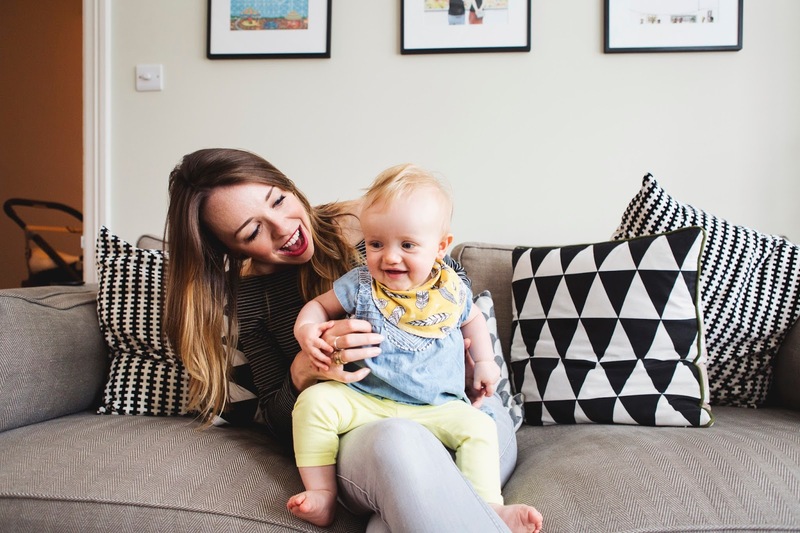 What advice would you offer to new and expectant mums: I’m so new at this I don’t really feel in a position to offer advice…all I would say is, based on my own experience, hang in there! You will turn a corner, and it will get better! I felt I had lost all judgment in those early days, and I wondered when my mother’s instinct was ever going to kick in.